After spending time and money on braces to straighten your teeth, don’t let them revert back by ignoring your retainer. Rely on your Brooklyn dental spa team to guide you through the ins and outs of retainers — and give you the options available. In NYC, there’s no better orthodontic and cosmetic dentist team than at Envy Smile Dental Spa. Crooked teeth don’t stand a chance against quality orthodontic care. But just because your dentist has taken your braces off doesn’t mean your orthodontic treatments are over. Wearing a retainer after your braces come off is a necessary part of your treatment. Retainers help hold your bite and smile in the same position that your braces formed over the period you wore them. Refusing to wear a retainer or failing to care for it properly often results in your teeth sliding back out of place and becoming crooked all over again. Your NYC cosmetic dentist customs crafts your retainer by taking an impression of your teeth after your braces are removed. Your newly straightened teeth are used as the guide for your retainer. The retainer itself is fashioned from wire and/or acrylic. You may only need to wear the retainer for a couple of years. But if you needed a more serious adjustment, you may have to wear your retainer indefinitely. Your retainer can be removable or fixed into place. If you opt for one that’s secured, you make a separate appointment to set the retainer in place. Choosing a type of retainer depends largely on your individual dental needs and cosmetic desires. Fixed retainers have wires that go across the back of your teeth. These wires are secured into place with cement, similar to what was used to hold your braces in position. Since this wire stretches across several teeth, it’s necessary for you to use a floss threader or cleaning device to clean between your teeth. Even though a fixed retainer takes more maintenance to clean and care for properly, it typically offers the best results. Because the wires are bonded to your teeth, they hold them perfectly in line at all times. A removable retainer generally consists of wires that fit across the front of your teeth, held firmly in place by a combination of acrylic material and clasps that fit to your back teeth. A removable retainer makes it easier to clean your teeth. But it’s vital that you remember to wear it every day. Your New York orthodontist may recommend you wear your retainer all day in the beginning. This usually lasts for just a couple of months. If your teeth appear to be secure in their position, you may only have to wear your retainer at night or for a couple of hours a day. While both types of retainers have distinct advantages and disadvantages, removable retainers run a significantly higher risk for being lost or damaged. Many have been simply thrown away by accident and some even have been eaten by pets. Removable retainers also are susceptible to heat. They can melt or lose their shape, which renders them virtually ineffective. Constantly replacing retainers can be both expensive and time consuming. So if you decide to go with a removable retainer, find a safe way to store it. A hard plastic, orthodontist approved case is recommended. Your New York City orthodontics team can recommend a good brand. Both types of retainers require maintenance. Routine dental check-ups are your first and best line of defense against damage. Your Brooklyn dentist cleans your teeth and checks for cavities. At the same time, your retainer is checked to make sure it’s functioning properly and staying in its proper place. Regular toothpaste should never be used to clean retainers. Abrasive toothpaste can scratch and dull the acrylic surface, which enables bacteria to stick to your retainer. Bacteria leads to plaque, and plaque can cause further damage to your teeth. When you consider all the time and money you’ve invested in your smile makeover, you may opt for fixed retainers. Wearing your retainer as directed by your dental care provider means the difference between a lasting, beautiful smile and additional orthodontic treatments. When you have access to the best dental spa in Brooklyn, New York, you never have to settle for less than the absolute best in innovative care. Your retainer is essential to maintaining your smile. When your smile is priceless, you can’t afford to take chance with your dental care. Until your teeth, bones, gums and muscles are completely settled into position, you must continue wearing your retainer. Your cosmetic dentist works with you to achieve and maintain a dazzling smile. Demand a New York City dental spa that’s up to the challenge — and you never have to look further than Brooklyn to find it. 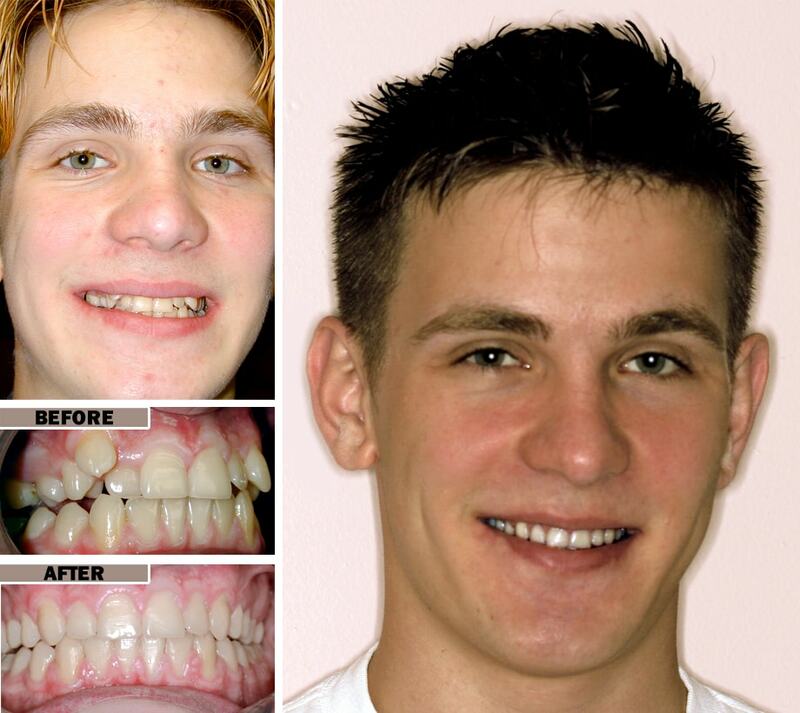 Do you have any questions about Braces Retainer treatment in Brooklyn NY? Would you like to schedule an appointment with the dentist Brooklyn? Please contact our office.